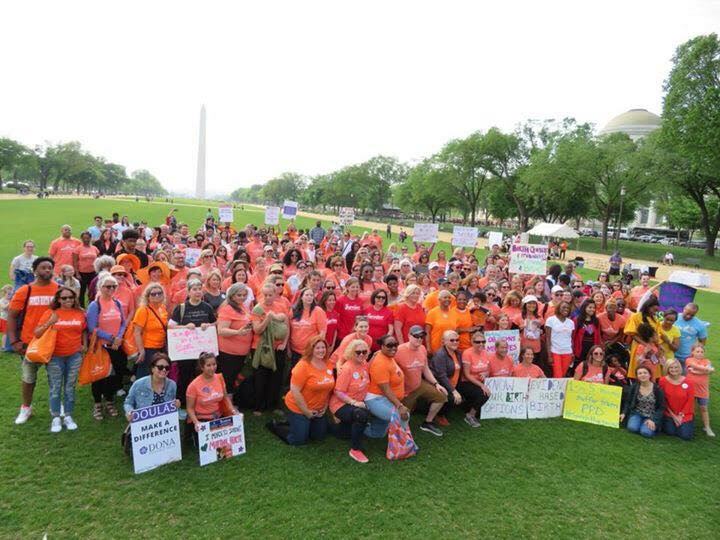 The Heart of Home: 2018 March For Moms Rally in Washington, D.C.
First, let me start by saying this was the first time I left my son overnight since my hospitalization in 2015. This was a HUGE step for me because the last time I left him, I didn’t know if I would ever come back. It felt strange to leave on purpose and it was so hard kissing him goodbye because so many things from that day came flooding back like a tidal wave. It felt fitting that this first time being away from him was to meet with other maternal near-miss survivors and lend my voice to the chorus of women affected by the maternal health crisis in the U.S. In some ways it felt like I was coming full circle, or at the very least, turning another corner in my ongoing journey with this crazy experience. And what a wonderful thing it was to meet other survivors and hear their stories in person! Our retreat crew had survivor moms from New York City, Maryland, Virginia, North Carolina, California and New Jersey! I admit, it was odd sharing so many intense and intimate things with people you’ve technically just met in real life, but it goes to show you how strongly our online survivor community has bonded us. We got a few crazy-eyed looks from our servers and Uber drivers thanks to the main topic of conversation- maternal morbidity and blood loss! I think every single one of us in attendance needed blood transfusions. And the nine ladies pictured above? Collectively, we needed 127 units of blood products to help us survive. Just let that number sink in for a minute. ONE HUNDRED TWENTY SEVEN. None of us ever wanted to join this tragic club, but the camaraderie of this shared experience is nothing short of amazing. I feel like I’ve known these women for years and years. Many of us have channeled our grief into advocacy efforts and it was something special to be standing shoulder to shoulder on the National Mall with each other and some of the biggest names in the Maternal Health movement. Fellow MNM Survivor Support Group Administrator, (seriously, we need better titles than this! 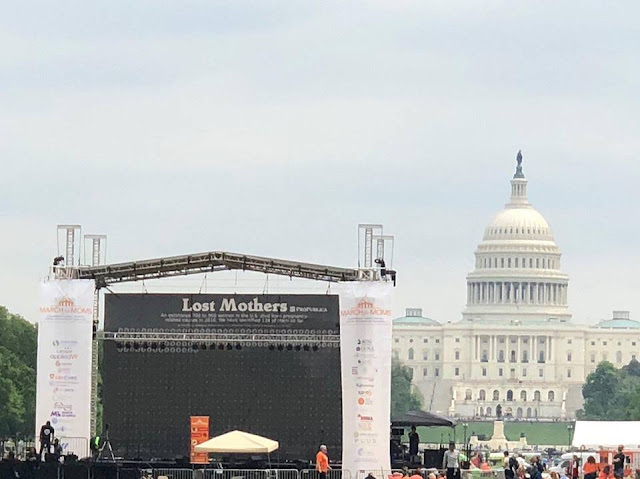 ), Founder of the group and my partner in crime with retreat planning- Marianne commented that it was surreal walking up to the large stage with Propublica’s ‘Lost Mothers’ image emblazoned across the banner with the U.S. Capitol in the background. 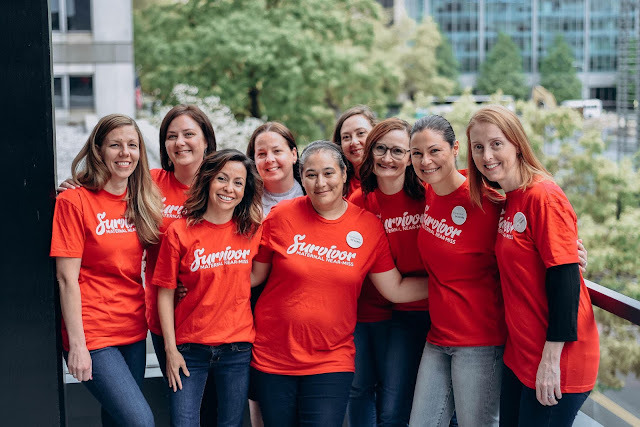 And it was… to know we are a part of a movement so much bigger than ourselves and to know we are striving to make a difference for the moms that are sure to come after us… it was very moving. One of the most haunting images for me from that weekend is this picture below. We visited the White Ribbon Alliance table along the edge of the rallying area and they asked us to write one request we had to improve quality maternal healthcare services on the white board they provided. At first, I thought “sheesh, just one? Where do I start?” and then it just flowed and flowed and flowed. It’s like this simple white board campaign tapped into a deep well of lifelong maternal health advocacy goals I have hidden away. The event photographer, Sally Morrow, saw me writing feverishly on my white board and said “I want to take your picture when you are done.” Oh boy. Just writing “LISTEN TO ME!” didn’t feel like enough. And had I left only those three words on my board, well, this image wouldn’t have nearly the amount of impact and power behind it. That’s honestly how I feel about my story in some aspects. Yes, I can say give blood. Yes, I can say that doctors need to listen to their patients. Yes, I can say patients need to advocate for themselves better. But without the reasons behind why I am so passionate, these efforts fall hopelessly flat. And truth be told, a part of me hopes the on-call OB that dismissed me three times sees this image someday and throws up in her mouth. Yes, it’s me. Again. I’m still here. I understand what happened and it’s not okay. You can do better. Your patients deserve better. I deserved better. I remember initially holding up my board with kind of a weathered smile and as I heard the clicks and looked up to see the stage and Capitol in the background, I lost it. 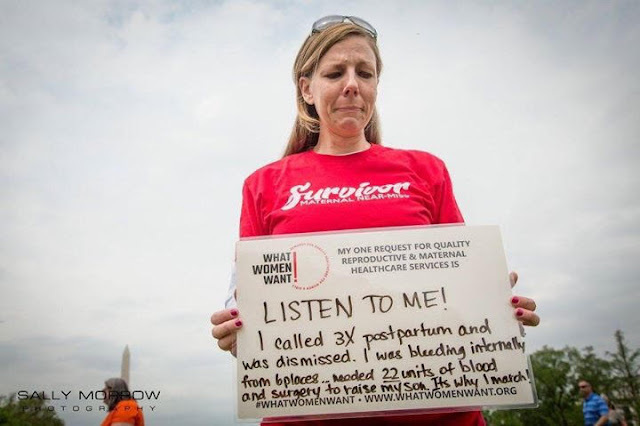 How am I standing on the National Mall at a maternal health rally with a survivor shirt on? How do so many awful things happen to one person? I kissed my baby goodbye that day and God help me, I will stand on my head until my dying day to help ensure that women receive the care they rightfully should have. I will be back at the March for Moms next year and hopefully for many, many more years to come. And I hope to see more moms like me stand in that same spot on the National Mall with their little, white signs. Because it will mean they survived too. Mood: They're never going to survive, unless we get a little crazy. New to The Heart of Home? 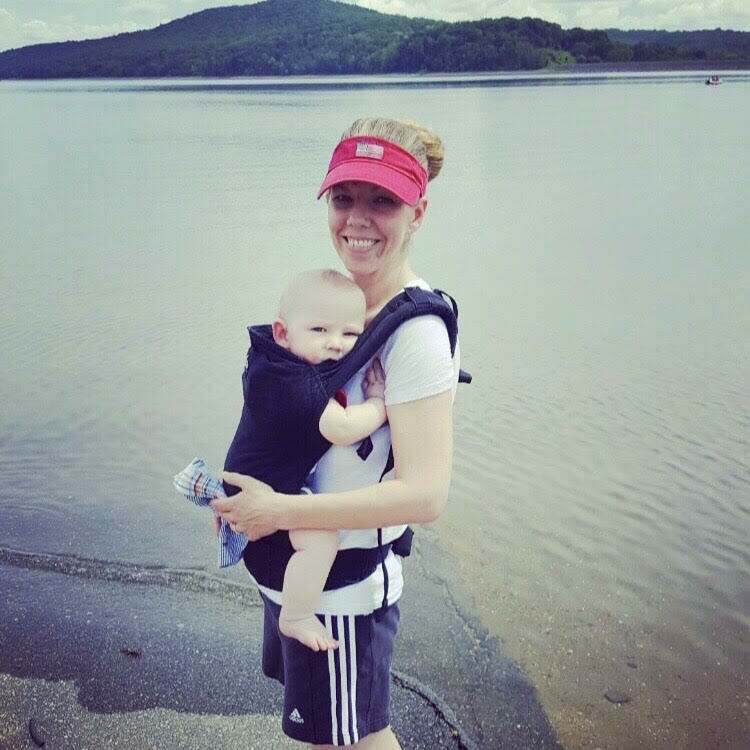 Click here to catch up on our story!